If you have pet cockatiels, you may have heard that they require special types of cages. The general rule is that you should buy the biggest cage that you can afford, that is suitable as a cockatiel cage. The bigger the cage is, the better it is for your pet. If you have one cockatiel, the minimum size cockatiel cage should be 18 inches across, 18 inches wide and 24 inches high. Keep in mind that this does not include the base of the cage. This Yaheetech Wrought Iron one is a great choice if you have space. This cockatiel cage comes with a parrot bungee rope that is made of metal wire and polyester and it is strong enough to withstand the chewing of your bird. A ring bell adds more fun for your bird and a hook can be hung any place you want inside or outside the cage. This bungee can develop birds’ coordination and balance skills. This is a large and spacious cage with 1.5 cm/ 0.6’’ bar spacing. The cage provides a spacious and safe area for your birds to play and rest. The 21.5 x 46.7cm/ 8.5 x 18.4’’ door is convenient for birds in different sizes like budgerigars, cockatiels, monk parakeets and golden parakeets to enter. A ladder and a wooden perch on the cage top offer you a better interaction with your beloved pets. A button lock on the bird entrance can be locked and unlocked by a simple operation making the cage safe and secure. There are hook locks on the feeding doors for convenient food replenishment and for safety purpose as well. Stainless steel feeders and easy to clean. Make sure that there is enough room for your cockatiel to move around, stretch its wings and flap its wings. You also need to remember the length of the tail, and it must not drag on the bottom of the cage or be able to get caught in any part of the cage. When you are selecting your size for the cockatiel cage, you also need to consider any filling materials that you are going to be putting in the cage, as this will reduce the overall size of the cage and the size of the room that your cockatiel has to move around. Check the width of the bars on the cage and do not buy a cage that has wide enough bars for the cockatiel to be able to get out. Have a cage that is big enough for the cockatiel to be able to move around and climb in its cage. This means that the cage should have horizontal bars and you should not buy a cage that has only vertical bars. Choose a cage that has a removable tray at the bottom, which makes it easier to keep the cage clean at all times. The tray makes it more easy to access the entire bottom of the cage to clean. Buying the best cockatiel cage that you can afford is important to make sure that your pet has enough room to move around, and to perch when it needs to. When you go to select your cage, make sure that there is going to be enough room for your cockatiel to move about freely without his tail hitting on the sides. The right cage can make it a lot more comfortable for your cockatiel, and it can make it easier to clean and take care of on a regular basis. 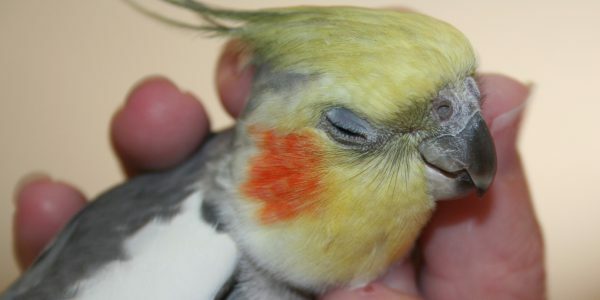 So remember to keep your cockatiel happy and get the best cage for your budget. 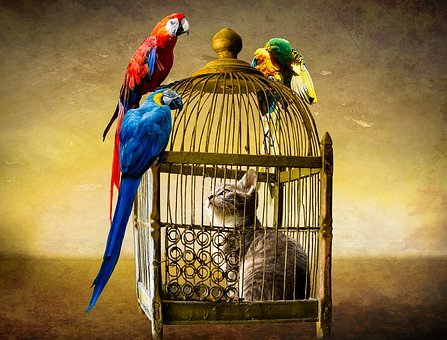 To see some more suitable cages, click here.